One of the things that any homemaker wants to have in the house aside from quality furniture are nice and elegant curtains for our windows. It will not only serve as a way to give shade but also become a decorative piece in the house. Curtains can go well with the theme of our house and we should be careful in choosing the designs. Here are some curtain samples that we can get at curtain stores like the Curtain Shop. It can be simple, country style or ruffled ones. Oh how cute is this?? Your girl will look like an adorable kid when she wears this. This is the Faith Baby Ruffled Swing Tops 'Sophia' Black with Leopard priced at $19 and is made of cute soft and fluffy ruffles in leopard design. The big flower head band also make this outfit so adorable and sweet. Nothing beats a clear and crisp sound when you listen to music, watch TV or DVD. In order for you to enjoy your entrainment time surround speakers will also do the trick. Whether you need a complete set or just need speakers for a particular room, check out the various multi-media speakers available at the Source. There’s always something for every need be it indoor or out door entertainment to pump up the volume. They also carry various brands like Sony, JVC, and Centrios . For a lot of TOMS customers, buying a pair of shoes from them is already a bliss since their casual-chic espadrille is so comfortable to wear just about anywhere. It’s even more heartwarming to know that each time we buy a pair of TOMS, they will give a pair to someone in need, thus called their ONE for ONE. Here is the TOMS FALL COLLECTION for 2012. Check out TOMS.com for more styles to choose. Every year, I guess majority of us are looking forward for our birthdays to come. Nothing beats the happiness that every warm wishes that we can get from friends and family, plus it’s also a day to thank the Almighty for another day in your life. Aside from that, it is also awesome if we can receive gifts from someone and knowing that they really made a way to buy something for us. Such a kind gesture and always touching. Kids are always notorious when it comes to their birthdays. They love to know that they’ll be having a party and the venue will be filled and adorned by colorful balloons, confetti and other decorations. They can even request their parents for their favorite cartoon character, hero or fairy tale characters to be part of their party. Of course, mascots are often hired to make the party more alive and for kids to be more excited. Kid celebrants often times wear costumes just to jive with the theme of their party. These days, themed parties are very much common not only for kids’ parties but even for adults’ party. With the popularity of themed parties, a lot of stores are already offering themed birthday supplies thus making party planning much easier. Often times when kids receive or open their gifts, their smiles are priceless. They particularly love toys but will soon get over it when they grow up. Finding gifts for kids are a lot easier than for older adults. Thankfully, there are stores that cater or offer such great birthday stuff for us to purchase and give to the celebrant. Here are some birthday gift ideas from Spencer's for those that are turning 40, 50 or 60th. Sometimes we really need not buy so much expensive or lavish gifts for when we give items from our hearts the receiver will really know it. Now, I can’t wait for my birthday to come this year. Presents are always appreciated . Lately, I've been attracted to teal color that I wanted to buy a blouse this weekend. Found some inspiration over at Polyvore and here's what I found. I just love the V shape with draping of the sleeveless blouse. Plus, I want the jeans but I’m not into the rippings in them. The wedge shoes with a little bit of teal color sets the theme that I wanted. This set appears to more formal as it is paired with grey colors making it also neutral. Perfect for the office or meeting with friends. You'll always find my sunglasses in my bag every time I go out as I can never leave without it. The sun's rays and the bright lights are just too harsh for my eyes so I need to protect them all the time. These days, sunglasses not only serve as an eye protector anymore for they have become a fashion statement already. You could see different kinds of shapes, colors and brands being worn all the time by people trying to make a statement. 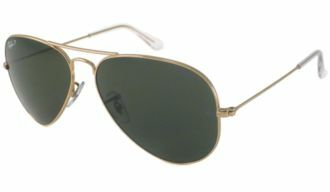 Ray-Ban is just one of the popular brand of sunglasses as it is more affordable and stylish as well. 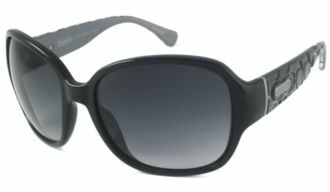 There are also many affordable and discounted sunglasses or eyeglasses that you can buy online. Check out the wide array of branded sunglasses such as Coach, Native Sunglasses, Prada just to name a few. 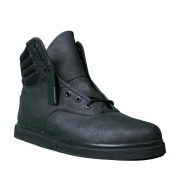 Looking for some affordable rubber shoes online? 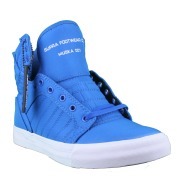 If yes, then go straight at FlyMode.com to get their cheap supra shoes and other branded shoes. 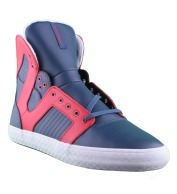 There are wide array of shoes of different kinds, colors and brands to choose from both for men and women. 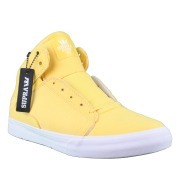 Not only that, they have urban hip-hop clothes and accessories for everyone that loves that style. You'll not be left behind with the current trends because they've got the latest collections in their shop.